Create beautiful looking yet powerful website to showcase your book. How do you look like a six-figure author even before writing your first book? 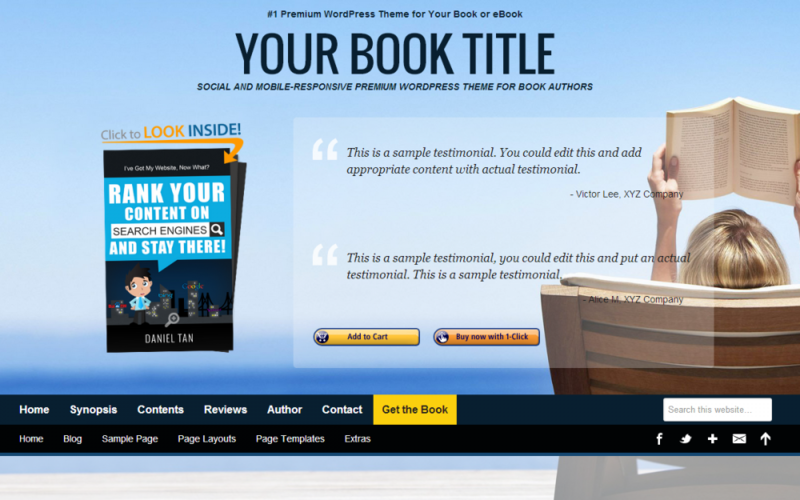 Book Theme is a Premium WordPress theme for Book Authors created using the Somo Framework for WordPress. Book theme can transform your website dramatically. Instantly look like a six-figure author and become one later!